Willy Wonka. 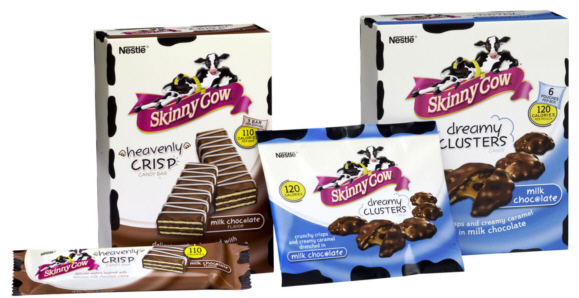 The name just induces candy coma fantasies. 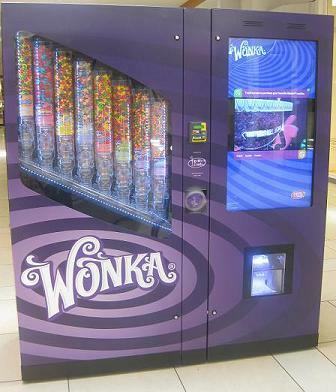 So, when I was at the mall recently, I noticed this new Wonka machine and juts had to check it out. thought it was very cool. 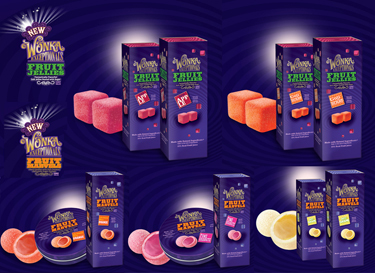 Iâ€™ve always been a big fan of Wonka candies since I was a little girl (the movie helped too). The machine is all touch-screen operated and it takes a few steps to get your candy. 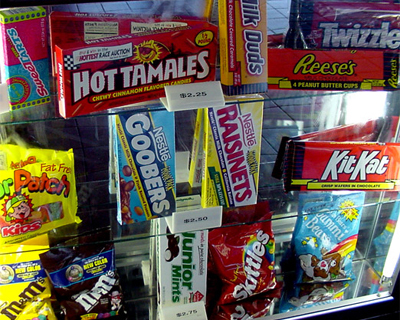 The candy is dispensed from the tubes you see in the front left of the machine (yes itâ€™s the actual candy you get not some plastic display). You first decide how many scoops you want and then which candy you want (you can get a different one for each scoop). The final step is feeding the machine your cash or you can use a credit card. The candy is then dispensed into a nice plastic container with a lid. Really cool and a very modern way of vending.